Stainless Steel Turtle-back Basket Scratcher - Rakes - GoClamming! Our “meanest” recreational rake! Features an easy to clear shallow basket and the longest recreational teeth we offer. 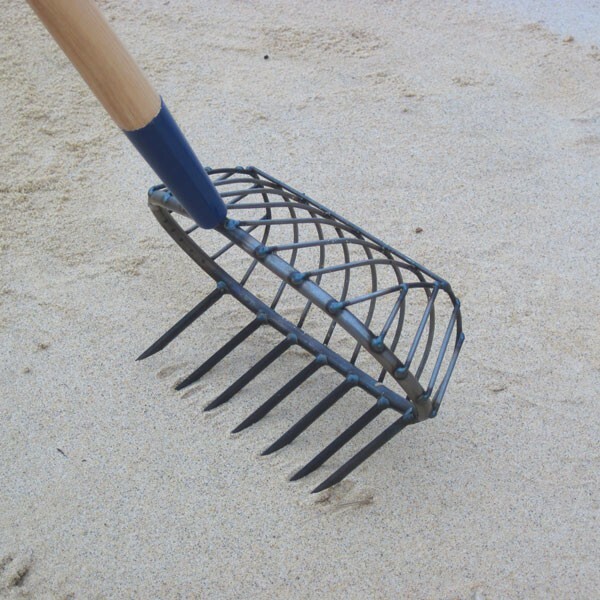 A great rake for sand and soft mud. Basket Specs: 11″ width, 2½” depth. 15/16 spacing.